In order to get the Anik Singal’s new book for free, all anyone needs to do is to be ready on 14th of August, which is the official launch day. There is nothing else that anyone will need to do, except perhaps shipping fees apply. 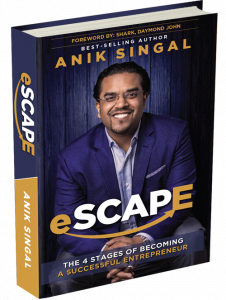 You will learn from Anik Singal how at his early 20’s built multi-million dollar business, and also how it all went down to drain, but not for long until Anik started again from scratch and created even more successful business than before.